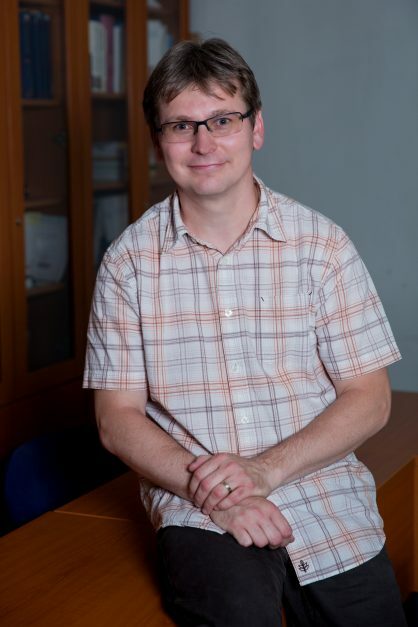 David Greger is the director of the Institute for Research and Development of Education at the Faculty of Education, Charles University in Prague. He works mainly in the field of comparative education, educational policy, sociology of education and quantitative methodology. He teaches quantitative research methods and sociology of education for doctoral students and classes on equity in education, educational policy and quantitative research methods for master’s students. His recent work has been focused on issues of equity and quality in education, positive discrimination measures for at-risk students and other policy interventions that may reduce the achievement gaps, school choice and educational transitions. His main interest is also on mechanisms and effects of early tracking in different educational systems. He is also interested in comparisons of education in different countries, he has a particular interest in educational change and post-Socialist transformations in Europe. David has been involved in many national and international projects and serves as an advisor for the European Commission, OECD and the Ministry of Education of the Czech Republic. He is currently leading a major longitudinal study in the Czech Republic (CLoSE – Czech Longitudinal Study in Education). Greger, D. (2015). 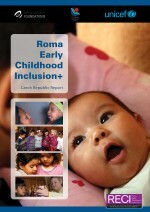 Educational policy in the Czech Republic: 25 years of educational transformation and growing inequalities. In Corner, T. (Ed.) Education in the European Union: Post-2003 Member States. Bloomsbury academic, s. 75-92. ISBN 978-14-725-2228-3. Demeuse, M.; Frandji, D.; Greger, D.; Rochex, J.-Y. (Eds.) (2012). Educational Policies and Inequalities in Europe. London: Palgrave Macmillan. ISBN 978-0-23030-203-7. Demeuse, M.; Frandji, D.; Greger, D.; Rochex, J.-Y. (Eds.) (2012). Les politiques d’éducation prioritaire en Europe. Tome II : Quel devenir pour l’égalité scolaire? Lyon: ENS Éditions. ISBN 978-2-84788-322-0. Gorard, S.; Smith, E.; Greger, D.; Meuret, D. (2010). Equity in Education: An International Comparison of Pupil Perspectives. Palgrave Macmillan. 256 s. ISBN 978-0230230255. Demeuse, M.; Frandji, D.; Greger, D.; Rochex, J.-Y. (Eds.) (2008). Les politiques d’éducation prioritaire en Europe. Conceptions, mises en oeuvres, débats. Lyon, France: INRP. 459 s. ISBN 978-2-7342-1121-1. Straková, J.; Greger, D. & Soukup, P. (2017). Factors affecting the transition of fifth-graders to the academic track in the Czech Republic. International Studies in Sociology of Education. http://dx.doi.org/10.1080/09620214.2017.1290541 . Jones, K., Tymms, P., Kemethofer, D., O’Hara, J., McNamara, G., Huber, S., Myrberg, E., Skedsmo, G. & Greger, D. (2017). 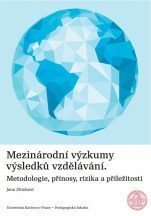 The unintended consequences of school inspection: the prevalence of inspection side-effects in Austria, the Czech Republic, England, Ireland, the Netherlands, Sweden, and Switzerland, Oxford Review of Education, DOI: http://dx.doi.org/10.1080/03054985.2017.1352499. cooperation of CERGE-EI (led by Jan Švejnar – principal investigator), Charles University in Prague, Faculty of Education ( team led by David Greger) and National Training Fund (team led by Jiří Večerník). EC Lifelong Learning Programme, číslo 511490-LLP1-2010-1-NL-KA1-KA1SCR, hlavní řešitel za ČR. Partnerské instituce: University of Twente, Nizozemsko (koordinátor), University of Durham, Velká Británie, University of Gothenburg, Švédsko, Dublin City University, Irsko,Johannes Kepler University, Linz, Rakousko, Harvard University, USA. EC programme Socrates 6.1.2, číslo 2006 – 2782 / 001 – 001, hlavní řešitel za ČR. Partnerské instituce: University of York – UK, Université de Bourgogne (IREDU) – Francie, Université La Sapienza de Rome – Itálie, Université de Mons-Hainaut – Belgie. supervisor of Ph.D. candidates in Education in Czech and English programme. M.A. Level courses: Equity in Education & Education Policy & Qunatitative Research Methods.